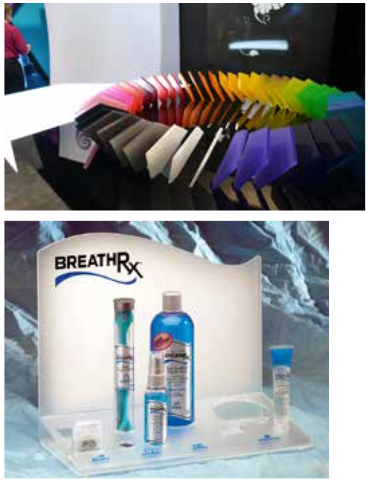 ACRYLITE® Satinice velvet texture offers transparent clarity when in direct contact with objects. Ideal for signs and displays, its one-sided and two-sided matte finish reduces reflected light. ACRYLITE® Satinice crystal surface is continuously manufactured with an appearance of etched glass and a frosted finish that diffuses light to enhance your design options and backlit applications. Its textured surface resists fingerprints and is easy to clean. ACRYLITE® Satinice optimum light diffusion has a frosted appearance throughout the entire sheet straight to the edge that offers excellent light diffusion for indoor or outdoor lit displays, panels and store fixtures. Its surface hides fingerprints and scratches for enhanced service life. Cast Satin Ice is a special order. 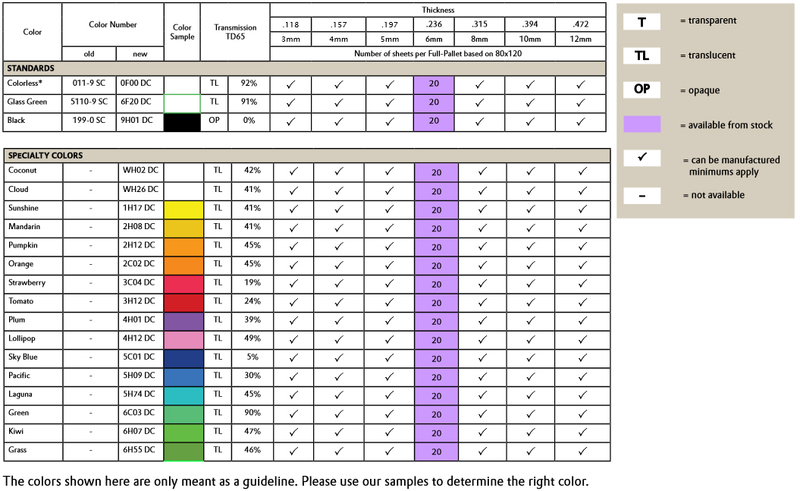 Thickness and sheet sizes are shown below. Minimums may apply.